I am incredibly proud of the completion of this building designed by award winning architects Duel Architecture. The construction of MidCity progressed smoothly and according to schedule – with many design and engineering upgrades included along the way for the benefit of our future homeowners. Our most notable delay was waiting for the registering with land titles in order to include the lake association’s many requirements – however we still managed our goal which was to get homeowners into their homes on time. A new addition to our service lineup is the printed Homeowner Guide and Online Homeowner Portal which Alture has provided to every owner. We hope that you find this resource useful as it contains detailed information from the paint colour in your bathroom down to who installed the kitchen faucet. I appreciate all the support everyone has given to us this past year, and hope all our homeowners enjoy peace of mind knowing that you are living in an incredibly sound and well-built building that will last for years to come. 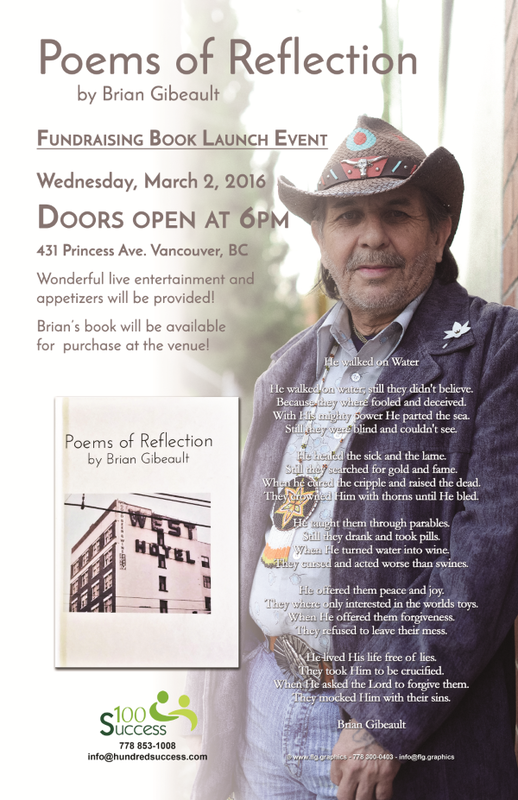 Brian’s book launch is just around the corner, please come and join us March 2nd at 6pm, 431 Princess Ave.
Just a bit of background, some of you may know I’ve been working with 100 Success, a group of individuals who want to lend their support to the Downtown Eastside community by providing mentorship and encouragement for individuals who have completed recovery (Climbers) to connect their business ideas and social projects to advisers (Sherpas) and to potential clients. Come join us this coming Wednesday for a glimpse into what we’ve been doing! 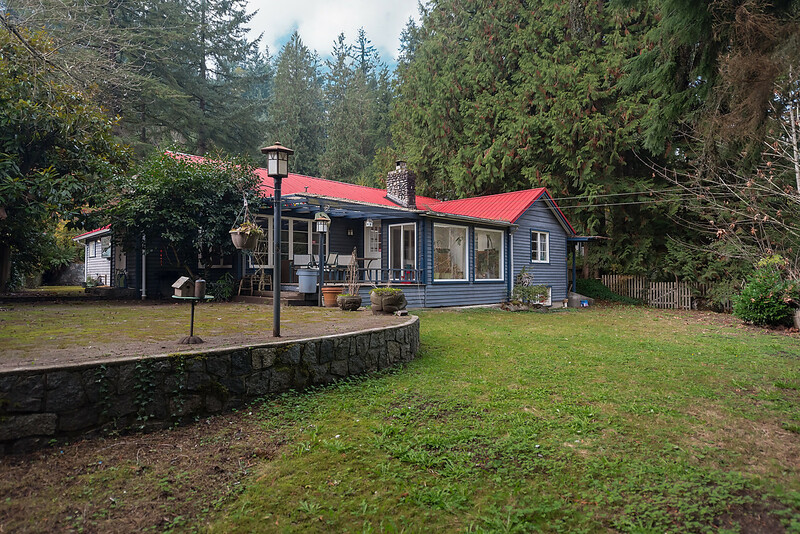 The new rules on BC’s Property Transfer Tax have been released with the potential to save up to $13,000 for some, and rate increases for others. 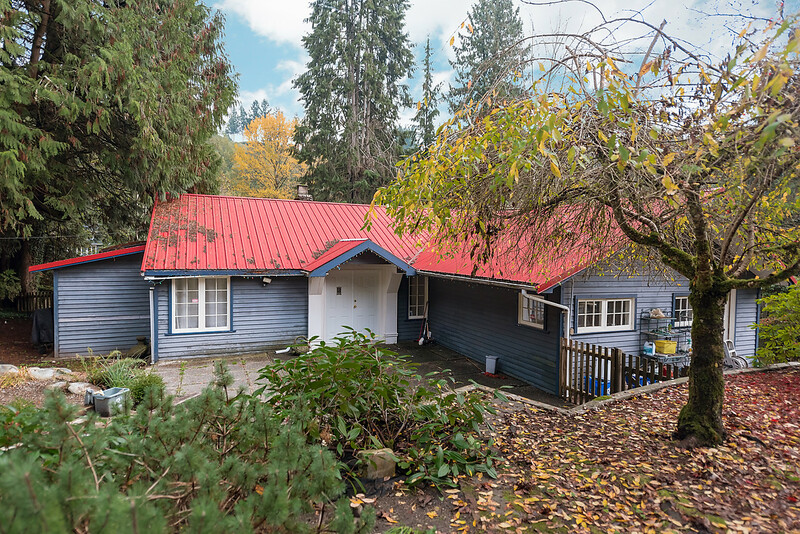 The goal of the province’s 2016 budget to help put home ownership within the reach of more people, but you can weigh in – does BC’s New PTT achieve its stated goals? Requirement that property buyers self-report their nationality when they register their property. Let’s go back and recognize the PTT as a major source of BC’s revenue, Vancouver accounting for nearly one-quarter of the government’s $1.15-billion windfall from B.C.’s property transfer tax in the past fiscal year. The property transfer tax was introduced in 1987 as a “luxury tax,” however thresholds have not changed since then, meaning it has turned into a revenue generator for the province. We have just sold this gem nestled in a resort-like complex. Welcome to Lakeside Terrace! If you missed this great opportunity, email us on the form below to get in contact today. 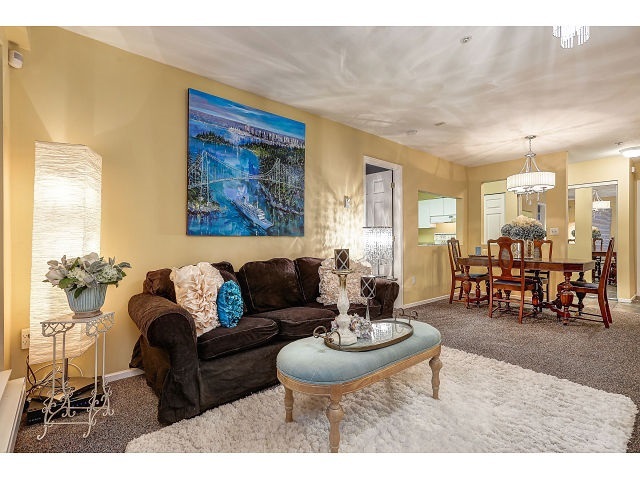 The perfect balance of elegance and charm greet you as you enter the foyer, and continues into the large kitchen & open concept dining/living room. The tastefully decorated master suite has two closets/ 4 piece ensuite with separate shower. A huge private deck is your oasis perfect for entertaining. With water features/lagoon, and manicured gardens you are surrounded by beauty. Workout in the gym, dip in the pool or relax in the hot tub/sauna. 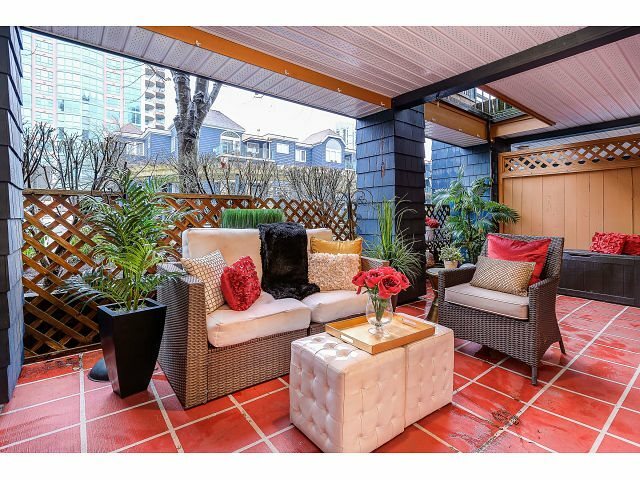 A short stroll to mall/T&T, all levels of great schools, the West Coast Express, Lafarge Lake, Aquatic Center, and soon the Skytrain. 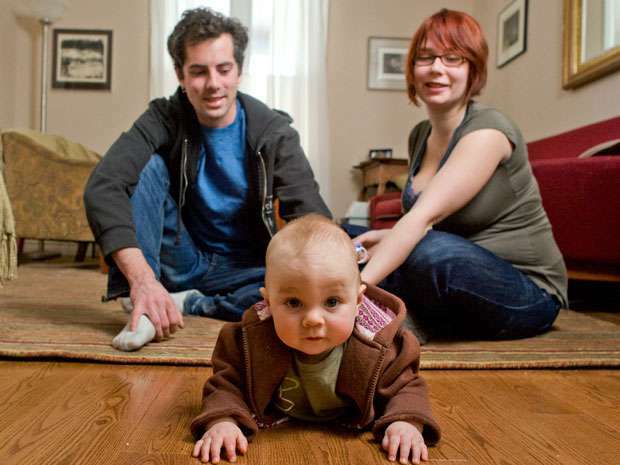 Eric Hadley and Alex Taman opened an RESP account for their 9-month-old daughter, Molly, in 2010. Contributing as soon as possible can reap significant financial rewards down the road. What could help even more, in my opinion, is a well-funded education savings plan, ideally, in the form of a Registered Education Savings Plan. While RESPs have been around for many years, and really took off in 1998 with the introduction of the matching 20% Canada Education Savings Grants (CESGs), my experience is that parents are not using them in the most strategic or optimal manner possible. Here’s a quick overview of the basic rules and then we’ll run through a couple of optimization strategies. The RESP is a tax-deferred savings plan that helps an individual, typically a parent, save for a child’s post-secondary education. Similar to other registered plans, the RESP is in essence a wrapper in which you can hold various eligible investment products, such as GICs, mutual funds and even individual stocks and bonds. Unlike RRSPs, contributions to an RESP are not tax-deductible nor are they taxable when withdrawn. The main benefit of the RESP is the ability to have all earnings (capital gains, dividends and interest) on the investments inside the RESP accumulate tax-free until withdrawn. When the funds are paid out, they are included in the student’s income but presumably the child will be in a low- or zero-tax bracket, on account of the various tax credits available to them (including, most commonly, the basic personal amount and tuition, education and textbook amounts) that little, if any, tax will ever be paid on the earnings when withdrawn. The other benefit is the CESG, equal to 20% of the annual contributions, to a maximum of $500 (or $1,000 if there is unused grant room from previous years). The maximum CESG entitlement is capped at $7,200 per child. When funding an RESP, the first missed opportunity is that parents often only start thinking about contributing to their kids’ RESPs several years after their children are born. But contributing to an RESP as soon as possible can reap significant financial rewards down the road. For example, take Alan, who starts saving for his daughter Amy’s education the year she is born. If he contributes the $2,500 maximum amount needed each year to maximize the CESGs until he hits $36,000 of contributions in the year Amy turns 14, he will have accumulated nearly $61,000 in Amy’s RESP by the time she is 18, assuming a 3% rate of return. Contrast this with Zoe, who only starts saving for her son Zack’s education when he turns 10 by contributing $1,000 in that year and then $5,000 each year from age 11 to 17 to catch up on all prior years’ CESGs. By the time Zack is 18, assuming the same 3% rate of return, Zack’s RESP would only be worth $49,000, despite Zoe having contributed the same $36,000 that Alan contributed. Finally, for those parents who can afford to do so, consider maximizing the tax-deferred (or, most probably, tax-free) compounding by contributing beyond the annual amounts needed to maximize the CESGs. This can be done by making an additional lump sum contribution of $14,000, bringing the total amount contributed up to the lifetime maximum of $50,000 per child. Jamie Golombek, CA, CPA, CFP, CLU, TEP is the Managing Director, Tax & Estate Planning with CIBC Private Wealth Management in Toronto. 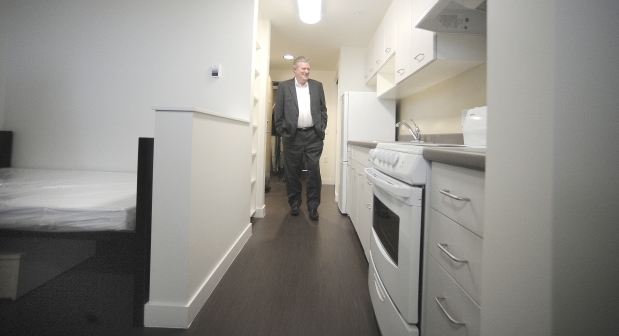 Rich Coleman, minister of natural gas development and housing, tours the Budzey Building, a newly completed structure providing 147 apartments for women or women with kids who are homeless or at risk of homelessness, in Vancouver on Thursday. VANCOUVER — Women and children first is the key to the province’s latest social-housing project, the success of which will hopefully draw more federal support for other projects in B.C. On Thursday, minister Rich Coleman toured the Budzey Building, near Oppenheimer Park in Vancouver’s Downtown Eastside. The building provides long-term permanent housing for women (including transgender and cisgender) and women-led families. The Budzey was opened in July 2015 and was gradually tenanted throughout the fall. Only just recently did the building finally reach capacity. According to Amelia Ridgeway, an associate director at RainCity Housing, the organization partnered with B.C. Housing to interview prospective tenants, ensuring that the residents being moved into the Budzey are from the surrounding community. As well, there was a focus on women who had been longtimetenants at nearby SROs (single-room occupancy) facilities. 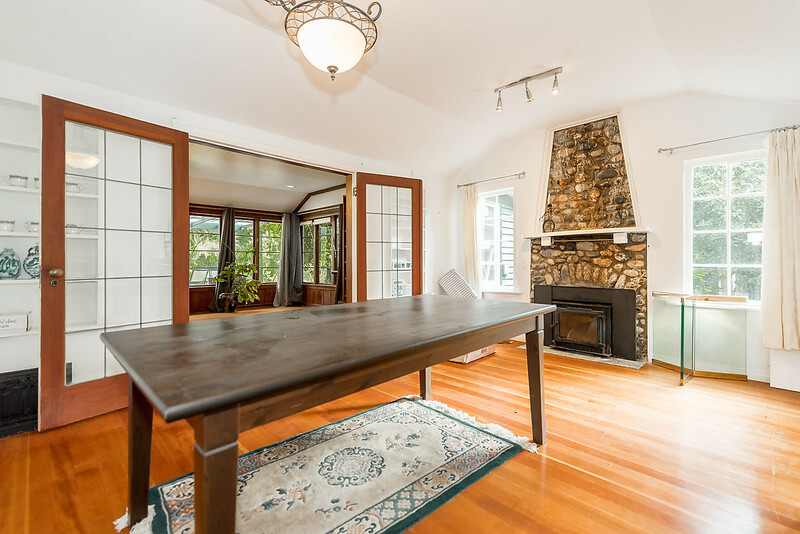 We have just sold one of the best SOUTH view HOMES on Burke Mountain. If you missed this great opportunity – email me below to find out about other similar homes in your neighbourhood that are coming up for sale! Find the Full Listing information here. Place for your family and more. Stunning VIEWS. Master bedroom retreats with spa-inspired Ensuites. Built by MOSAIC. Upgraded appliances, a master-planned community to be complete with play space, green space and shopping village. 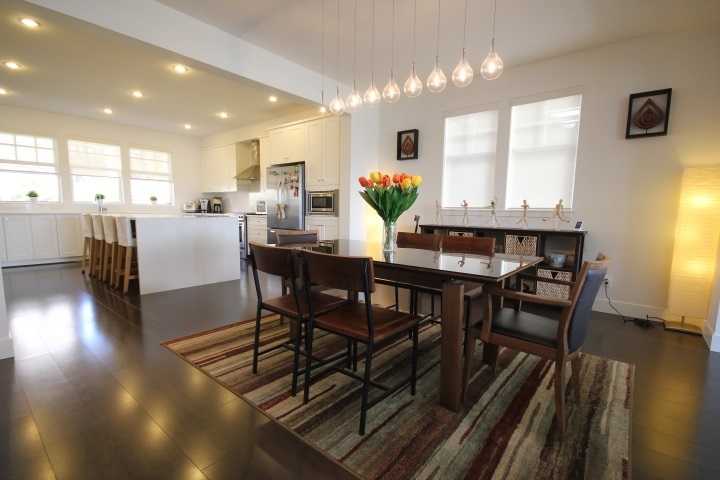 Massive kitchen islands, spacious laundry rooms, double-door ensuite bathrooms, walk-out backyards, mud rooms for gear, window lounges, closet space to spare. No CARPET AT ALL. Located in Quite side of David Ave.